1mm to 3.5mm granulated wetpour wearing course or top coat rubber. 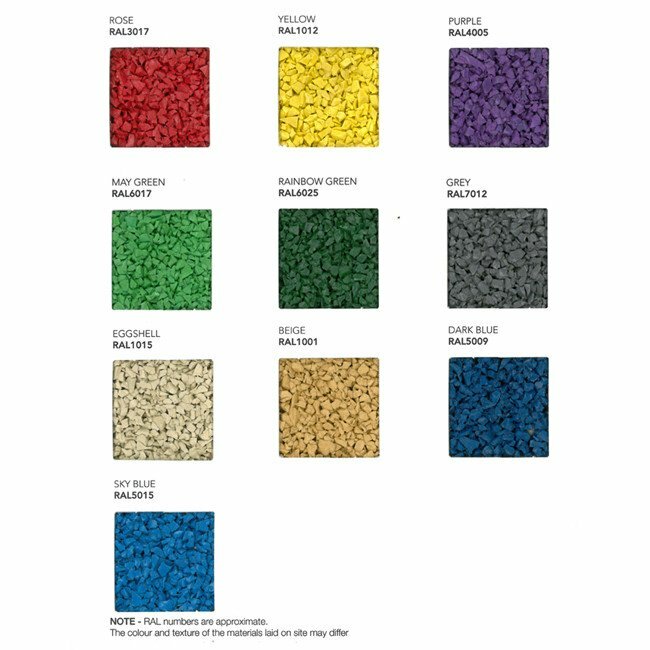 Our wetpour top coat granules when combined with W4 resin / binder form the wearing course to all wetpour surfacing systems. 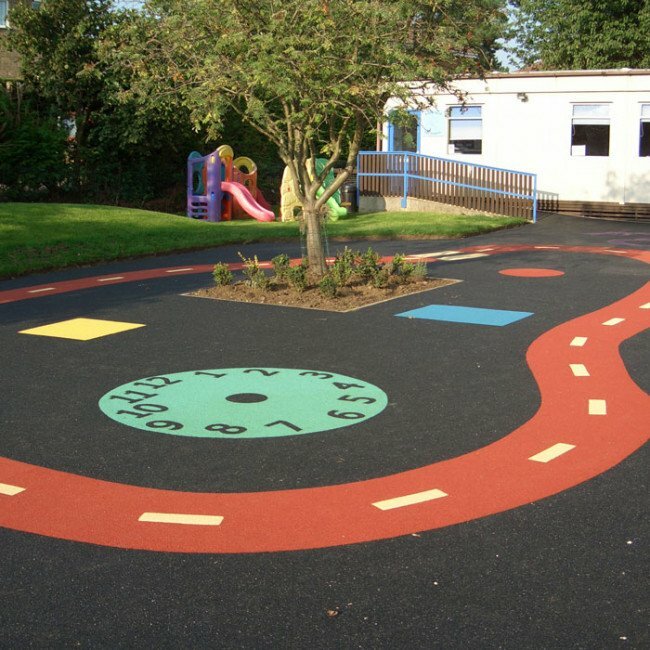 The wearing course is usally laid to thickness of 20mm either on top of base rubber or straignt onto no-fine concrete or tarmac where no criticle fall heigh is required. The wetpour top coat should be mixed with resin binder to a ration of 5kg resin to 25kg rubber. 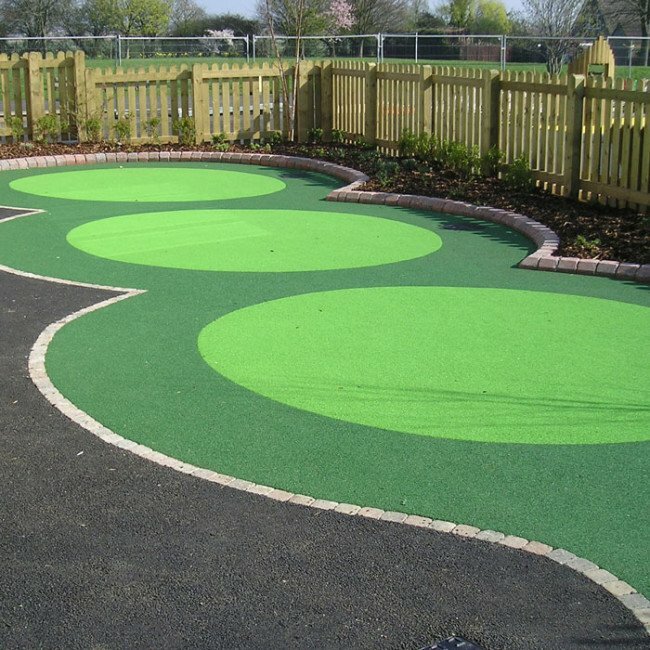 The EPDM rubber is supplied in easy to use 25Kg bags and covers approximately 2m2 @ 20mm deep.